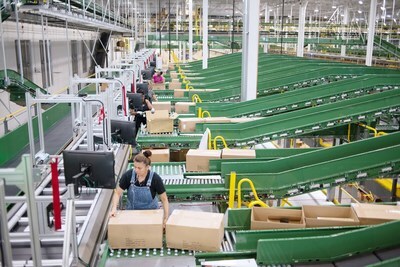 REDMOND, Wash., Nov. 9, 2018 /CNW/ -- On Friday, Gap Inc. (NYSE: GPS) announced it has established a strategic partnership with Microsoft Corp. (Nasdaq: MSFT) to drive its digital transformation strategies and continue to create new customer experiences across all brands, including Old Navy, Gap, Banana Republic, Athleta, Hill City and Intermix. 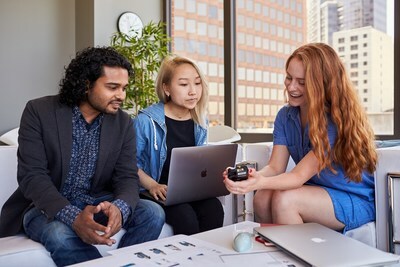 With Microsoft as its primary cloud provider, Gap Inc. is focused on technology innovation, speed and flexibility, using Microsoft Azure and Microsoft 365 to deploy new business capabilities and work more efficiently across the organization. Gap Inc. distribution center in Fishkill, NY. Gap Inc. employees work on technology solutions. 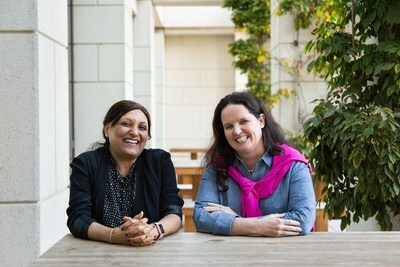 "As we grow our value and active business and accelerate online and mobile, the ability to scale our technology in a secure environment to accommodate this growth is critical," said Sally Gilligan, chief information officer, Gap Inc. "The Microsoft Azure platform provides our teams the ability to deliver innovative and personalized capabilities for our customers with speed supported by a strong depth of technology expertise from the Microsoft team." Gap Inc. is working closely with Microsoft to migrate hundreds of applications to Azure, focusing on a seamless and personalized experience for customers as they shop across stores, online and mobile. Initially, the company is moving key inventory, stores and site capabilities to Azure for trusted, scalable and cost-effective computing. These critical capabilities support a portfolio of brands and products available for purchase in more than 90 countries, through multiple channels including over 3,100 company-operated stores. Using the Microsoft Azure platform-as-a-service offerings, Gap Inc. is accelerating its time to market for new customer services, empowering customers with greater flexibility in where and how they want to shop. The Microsoft Azure cloud supports the company's DevOps model through which engineers and product management teams rapidly develop, deploy and test new capabilities. "Gap Inc. has been a global pioneer and leader in retail since they opened their first store in San Francisco in 1969," said Shelley Bransten, corporate vice president for global retail and consumer goods at Microsoft. "We are thrilled to partner with them to further modernize their customer and employee applications, turn data into dollars, and build powerful new applications and services that drive digital transformation and put customers at the heart of their business."